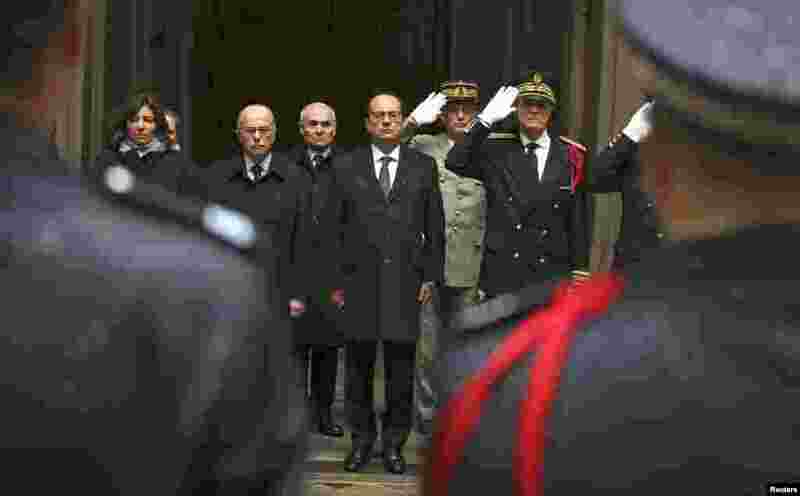 1 French President Francois Hollande, center, Interior minister Bernard Cazeneuve, second from left, Paris mayor Anne Hidalgo, left, and Paris police prefect Bernard Boucault, right, stand for a minute of silence at Paris Prefecture in Paris, Jan. 8, 2015. 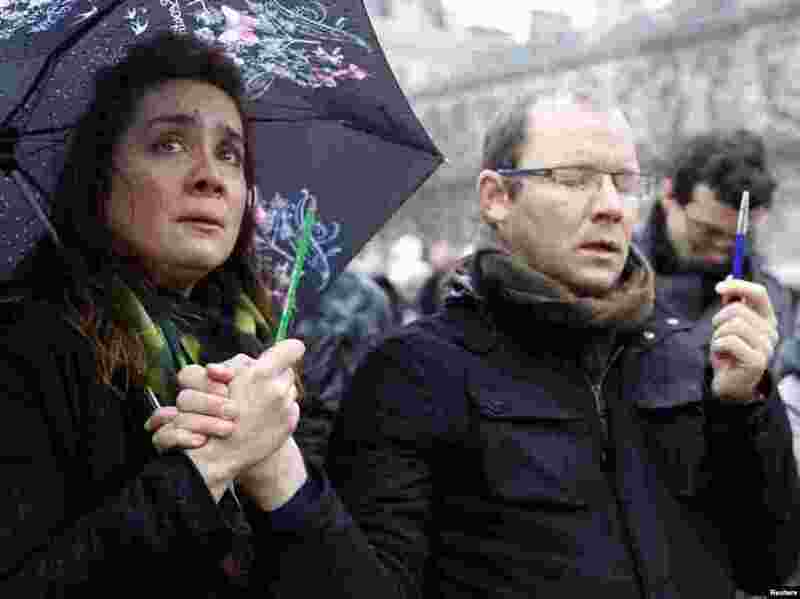 2 A woman holding a pencil cries as she gathers in front of the Notre Dame Cathedral during a minute of silence for victims of the shooting Wednesday at the Charlie Hebdo offices, in Paris, Jan. 8, 2015. 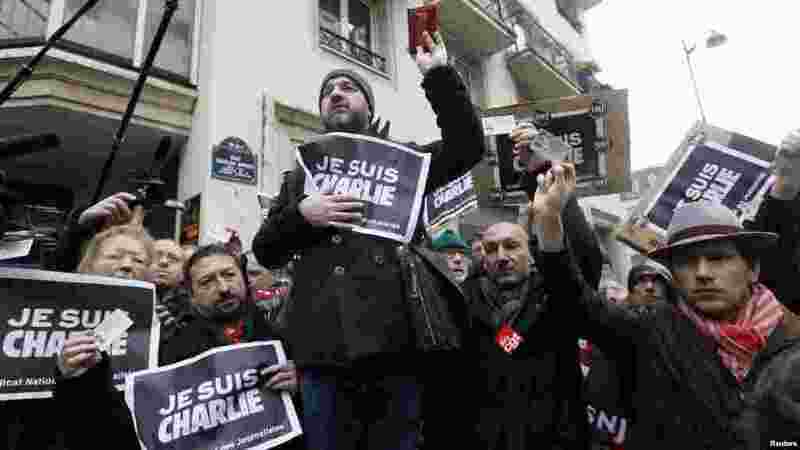 3 Journalists hold placards that read "I am Charlie" and their press cards during a minute of silence in front of the Paris offices of weekly satirical newspaper Charlie Hebdo in Paris, Jan. 8, 2015. 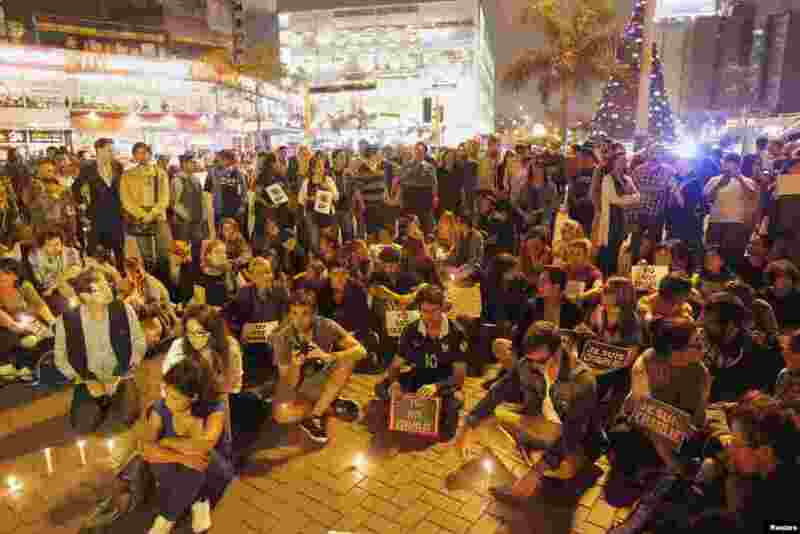 4 People participate in a vigil to pay tribute to the victims of a shooting at Charlie Hebdo offices at the Kennedy Park in Lima, Peru, Jan. 7, 2015. 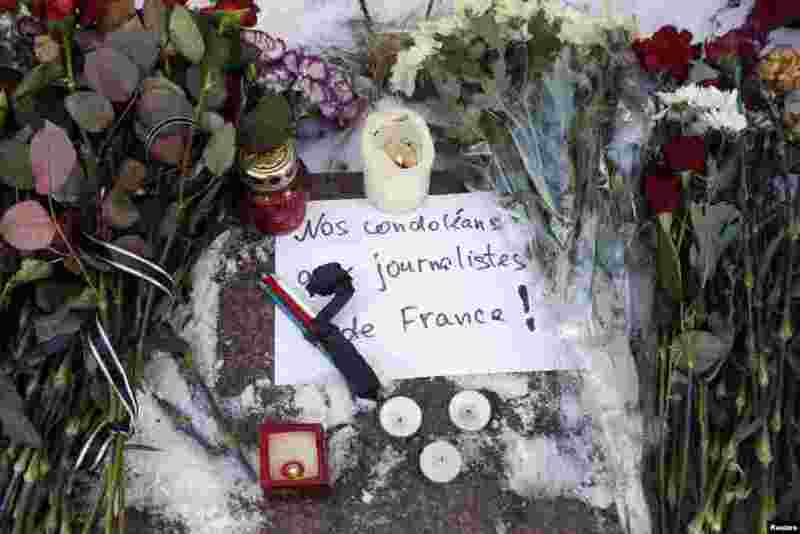 5 Candles, condolence flowers and pencils for the victims of the shooting at Charlie Hebdo are placed outside the French embassy in Kyiv, Jan. 8, 2015. 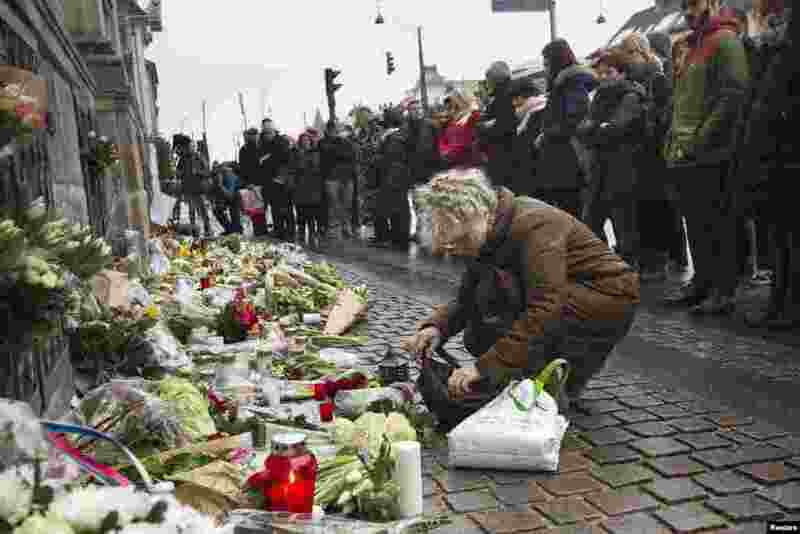 6 People place flowers during a minute of silence in front of the French Embassy in Copenhagen, Denmark, Jan. 8, 2015. 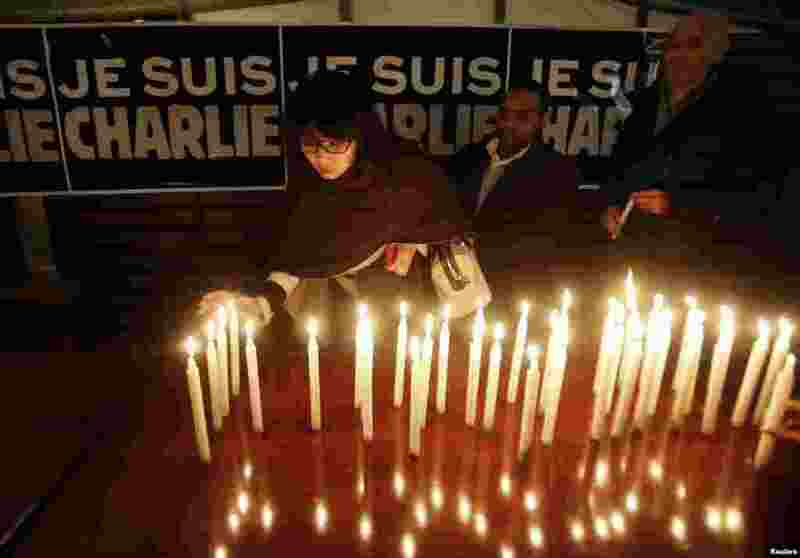 7 Candles are placed in front of a banner that reads "I am Charlie" at the French Embassy in Hanoi, Vietnam, Jan. 8, 2015. 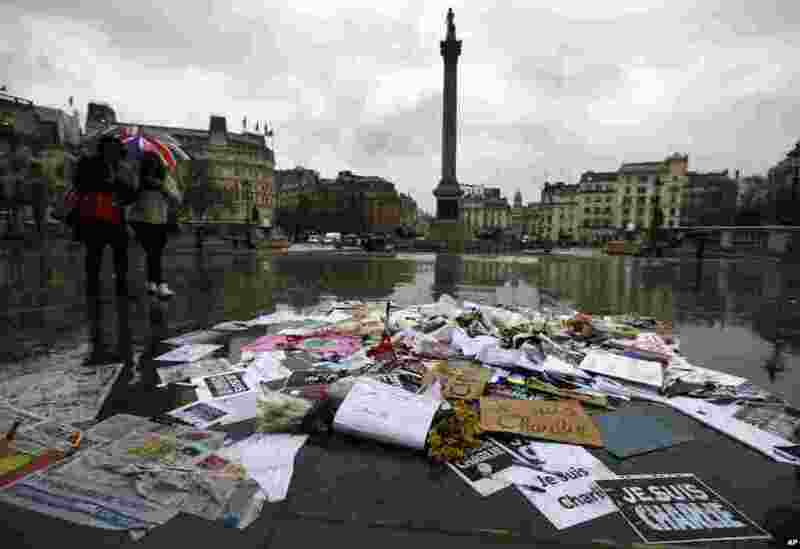 8 Flowers and pens and placards lie after being placed to show solidarity with those killed in an attack at the Paris offices of weekly newspaper Charlie Hebdo, in Trafalgar Square, London, Jan. 8, 2015. 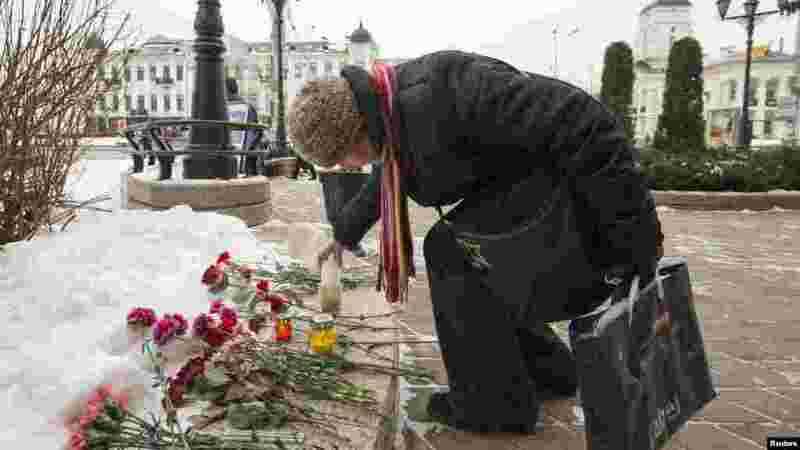 9 A woman lights a condolence candle at the French embassy in Minsk, Belarus, Jan. 8, 2015. 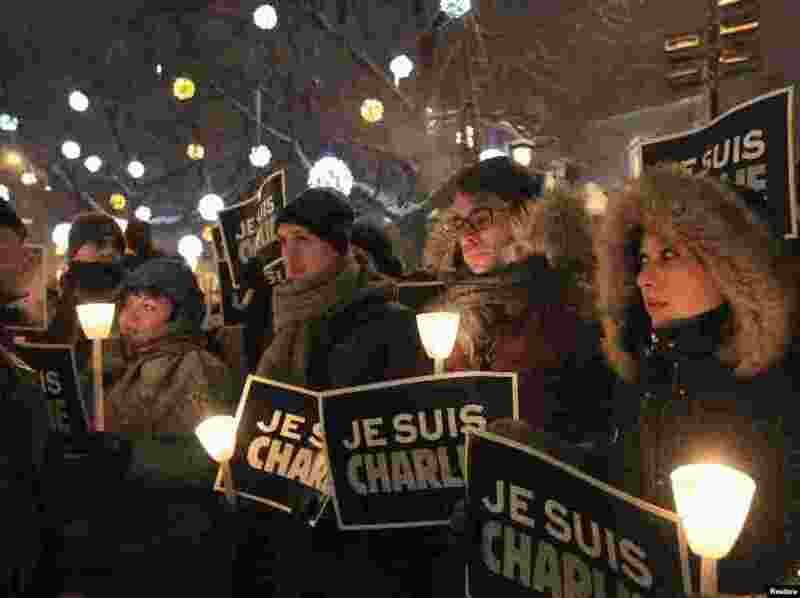 10 People participate in a vigil to pay tribute to the victims of a shooting, by gunmen at the offices of weekly satirical magazine Charlie Hebdo in Paris, in front of City Hall in downtown Montreal, Jan. 7, 2015. 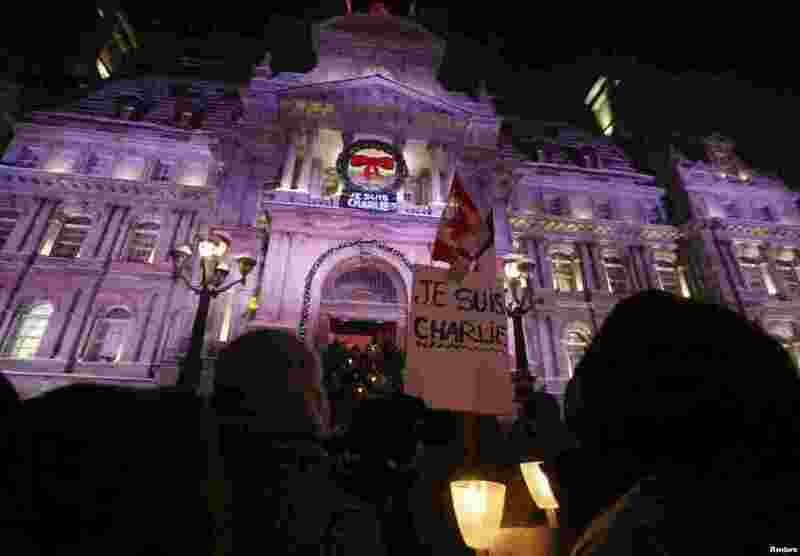 11 People participate in a vigil to pay tribute to the victims of a shooting, by gunmen at the offices of weekly satirical magazine Charlie Hebdo in Paris, in front of City Hall in downtown Montreal, Jan. 7, 2015.